Our Thousand Oaks practice was among the first in Southern California to offer KYBELLA, a breakthrough non-surgical treatment that reduces fat in the troublesome area below the chin. 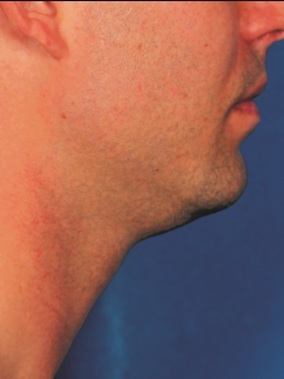 Known as the “double chin shot,” KYBELLA addresses unwanted fat on the upper neck without surgery or incisions. No downtime is required! Board-certified plastic surgeon Dr. Kouros Azar is recognized as an expert injector and trains other physicians up and down the California coast on the proper KYBELLA injection techniques. His experience sets him apart from others in the Thousand Oaks-Westlake area. If you desire a more defined profile and streamlined neck, request a consultation with Dr. Azar to discuss whether KYBELLA is the right treatment for you. Or call our office at (805) 373-7073 and a member of our knowledgeable and friendly staff will help schedule your appointment. 3 How Does KYBELLA Work? 10.1 Are There Any Side Effects? 10.2 Can KYBELLA Treat Other Areas Of The Body? 10.3 Does KYBELLA Tighten Loose Neck Skin? 10.4 How Much Does KYBELLA Cost? One of the most common — and stubborn — areas where fat accumulates for both men and women is just below the chin. 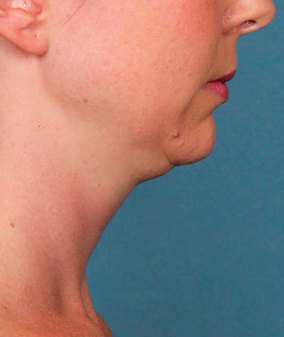 Genetics, aging, and weight gain may be responsible for the appearance of a double chin. 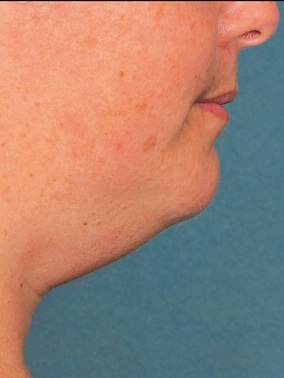 Until recently, the only truly effective method of reducing this “submental” fat was to undergo neck liposuction. But many individuals either aren’t interested in having surgery or can’t take the time needed to recover following liposuction. That’s why KYBELLA, an FDA-approved injectable treatment specifically designed to reduce submental fat, is such a game-changer. In as few as 2 treatment sessions, patients see a dramatic improvement, although experiences vary. KYBELLA injections will gradually break down fat cells and remove them from your body. These cells will be naturally metabolized and will no longer be able to affect underneath your chin. The active ingredient in KYBELLA is deoxycholic acid, a substance that naturally occurs in the body to help break down and process dietary fat. When it’s injected into the area below the chin, KYBELLA attacks and destroys the membranes of fat cells. The damaged cells are gradually absorbed by the body and flushed away during the natural metabolic process. Once KYBELLA destroys the cells, they do not grow back. Kybella is a quick, comfortable treatment. Results are real! If you are open to the slimming fat elimination of a Kybella treatment, reach out to Azar Plastic Surgery to schedule an informative consultation today. Candidates for Kybella are those who have unwanted fat on their neck and jawline. 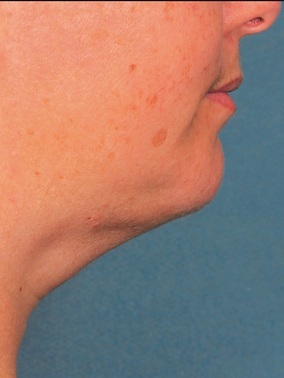 Patients complaining of a “double chin” are good candidates to eliminate their fat with Kybella. It is best if candidates have a moderate degree of skin elasticity to ensure the skin will return to its preferred tight position on the neck and jaw once the fat is eliminated. If you are looking to contour your jawline, dissolve fat under your chin, or address stubborn fat in other areas of your body such as the area above the knees, bra fat, muffin top, Kybella will fight your fat after a single, convenient injection. This treatment is a great option for patients with busy schedules who do not have time for the recovery associated with more invasive fat eliminating procedures. Good candidates for Kybella are those who are at a stable weight, as weight gain can affect the outcomes achieved with Kybella. Candidates should be in overall good health and free of conditions that affect their healing profiles or immune system. Patients who are non-smokers will see their best results with Kybella, as smoking can affect skin volume and elasticity. 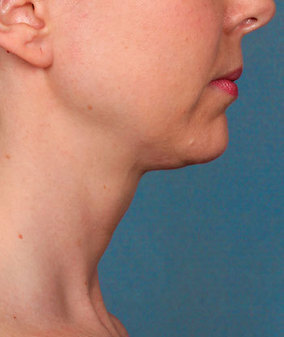 Before Kybella, patients who wanted to address a stubborn double chin had to turn to liposuction or a neck lift to restore their slim, attractive jawline. These surgical procedures require patients to take time for recovery, but Kybella’s treatment requires zero downtime. 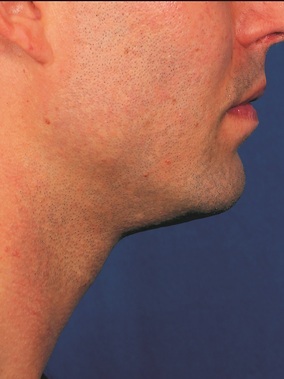 Patients are able to receive their Kybella injection and return to their usual activities without issue! Kybella achieves the slimming results once only possible with a surgical procedure. The main difference between Kybella and a neck lift or liposuction is the speed at which patients see results: the slimming effects of liposuction or a neck lift will be seen almost immediately following the procedure, while Kybella needs time to break down the fat for elimination. Patients will see a change in their jawline within roughly four to six weeks after Kybella. The only issue that Kybella will not address is skin laxity: patients who do not have much elasticity left in their skin may need to receive a neck lift or other invasive procedure to remove or tighten loose skin on their chin or neck. Patients who have a mild to moderate degree of skin laxity can achieve a smooth, flattering jawline without the need for incisions or downtime, thanks to Kybella! Patients will receive a private consultation to determine if Kybella is the right treatment option for them. Dr. Azar will examine the skin and tissue on the candidate’s chin and neck to assess if Kybella will achieve their desired results. If Dr. Azar believes that an alternative or additional procedure will achieve the patient’s preferred outcomes, he will share his professional opinion at this time. Ready to learn more about Kybella? Schedule your private consultation at Azar Plastic Surgery today! Your safety and comfort are our priority! Dr. Azar will use this meeting to gain a good understanding of your attributes and goals for your appearance. Dr. Azar will go over your medical history and medication use with you to make sure Kybella is the most appropriate treatment option for your case. Please ask any questions that you may have about Kybella and any other rejuvenating procedures we offer at Azar Plastic Surgery during your consultation. We want you to feel confident and well-informed before making any cosmetic decisions! If you’re considering KYBELLA, the first step is to meet with Dr. Azar for a consultation. Dr. Azar customizes KYBELLA treatments after carefully examining the amount of fat in the neck, the skin’s elasticity and tone, and your personal aesthetic goals. He creates a treatment plan that typically involves 2 to 4 sessions scheduled at least a month apart. Each treatment session involves multiple injections spaced about a centimeter apart over the area of fat you want to treat. The treatments begin with a medical assistant cleansing the neck. Many patients request a topical anesthetic to ensure they remain comfortable during the injections. Dr. Azar carefully marks a grid showing the precise location of each injection. The injections themselves take only a few seconds each, with the whole process taking about 15 minutes. Because KYBELLA destroys fat cells, results following each treatment session appear gradually. It may be several months before you notice the final results. Patients can receive their Kybella injection and return to their daily schedules immediately after! No downtime is required after a Kybella treatment. Some patients may experience bruising, swelling, itching, or redness in their treatment area, but these conditions should abate within a week of the treatment. Patients can apply ice to accelerate the healing process. Patients can continue to maintain their busy schedules over the days and weeks following their Kybella treatment. The injection will break down the unwanted fat on the patient’s chin and neck over the next four to six weeks and dispose of the fat through natural processes. After a month, patients will be able to receive another Kybella treatment to improve their outcomes. The most common side effects reported by patients are temporary swelling, bruising, soreness, redness, and some hardening in the treatment area. These resolve by themselves a week or so after the treatment session. Some patients experience more swelling but Dr. Azar will recommend ice, rest, mild compression and elevation of the head to minimize any swelling. Most patients will resume normal life activities with the exception of heavy exercise. Can KYBELLA Treat Other Areas Of The Body? The FDA has approved KYBELLA specifically for treatment of submental fat.  We have also had great success addressing stubborn bra fat, love handles, and the fat above the knees with Kybella injections. KYBELLA treatments work best for patients whose neck skin retains most of its youthful elasticity. Dr. Azar does feel more patients with slightly looser skin are better candidates for Kybella than they are for liposuction. Patients with loose skin may actually see that condition worsen after KYBELLA treatment reduces underlying fat. Dr. Azar may recommend a surgical neck lift if your skin is lax. The cost of KYBELLA treatments, like other cosmetic procedures, varies depending on a range of factors. The primary issue influencing the total cost of the treatment includes the number of treatment sessions and injections used during each session to meet your cosmetic goals. Dr. Azar provides a detailed price quote for your treatment following your consultation.